Imperial Teen headlines, and Merge hints there may be a big surprise (though that surprise will not be the Magnetic Fields who have a showcase at ACL Live that night). 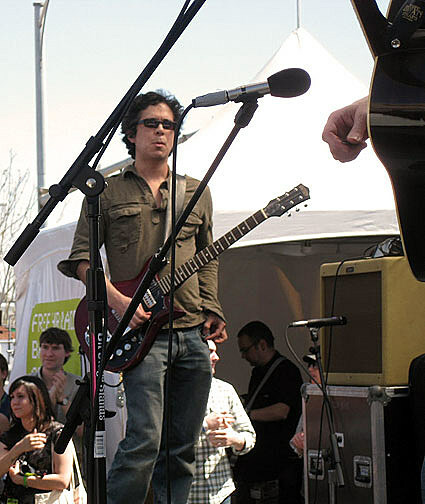 The showcase will be one of at least four SXSW shows for M. Ward who is also playing Central Presbyterian Church (again) on March 14th and Auditorium Shores (again) with The Shins on March 15th (5:45PM Little Hurricane, 6:45PM M. Ward, 8:00PM The Shins). After SXSW, Matt heads out on a tour around Coachella. Those dates are listed below along with a stream of “Primitive Girl” from the forthcoming “A Wasteland Companion”. Eleanor Friedberger is also playing other shows (TBA), and will be back in Austin on a tour with Hospitality who also have more SXSW shows TBA. The Clean aren’t playing SXSW, but the Merge-signed band will be in Austin for Chaos in Tejas this year as part of a just-announced tour with their labelmates Times New Viking. “Primitive Girl” features M. Ward on vocal, piano and guitar, John Parish on percussion/marimba, Mike Mogis on organ, and Susan Sanchez providing backing vocals.